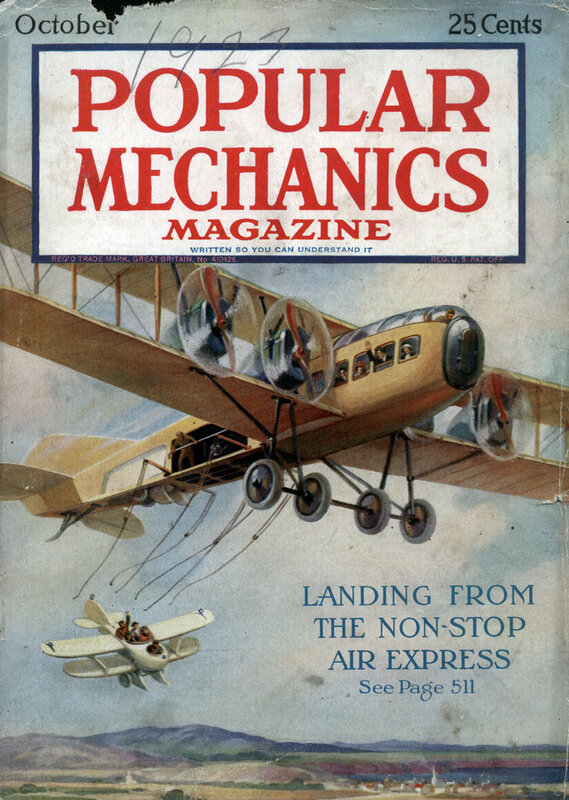 One of the rare precursors to the modern conservation movement. The success of Vermont in preserving wild flowers and plants, as game is protected, and preventing their extinction, has aroused an interest among botanists and lovers of wild flowers which may result in more legislation for their protection. 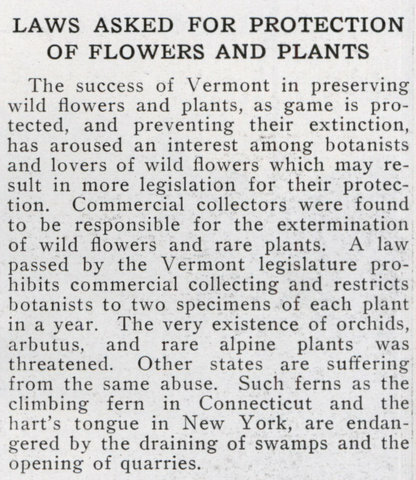 Commercial collectors were found to be responsible for the extermination of wild flowers and rare plants. 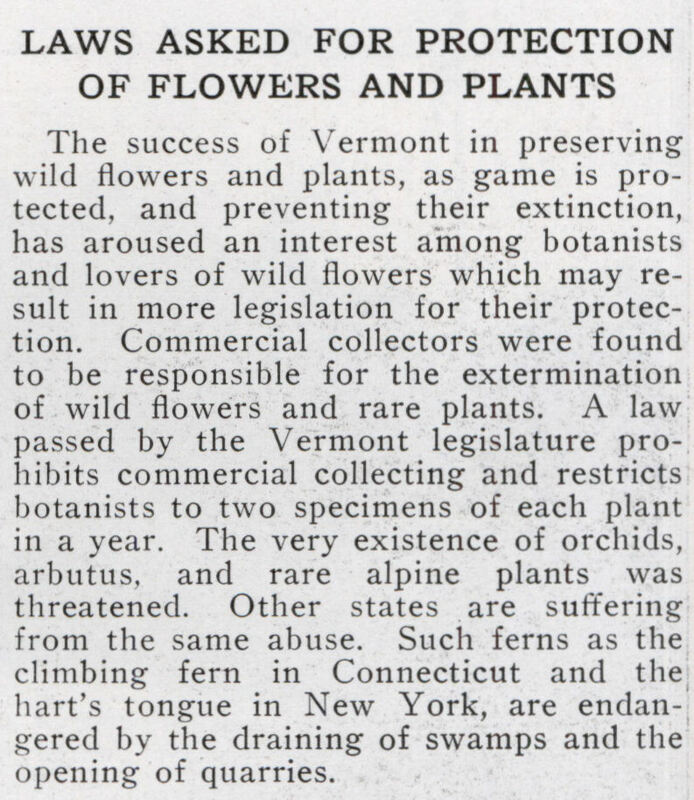 A law passed by the Vermont legislature prohibits commercial collecting and restricts botanists to two specimens of each plant in a year. The very existence of orchids, arbutus, and rare alpine plants was threatened. Other states are suffering from the same abuse. Such ferns as the climbing fern in Connecticut and the hart’s tongue in New York, are endangered by the draining of swamps and the opening of quarries.